What Are You Looking At….. is a book detailing the history of modern art for amateurs. 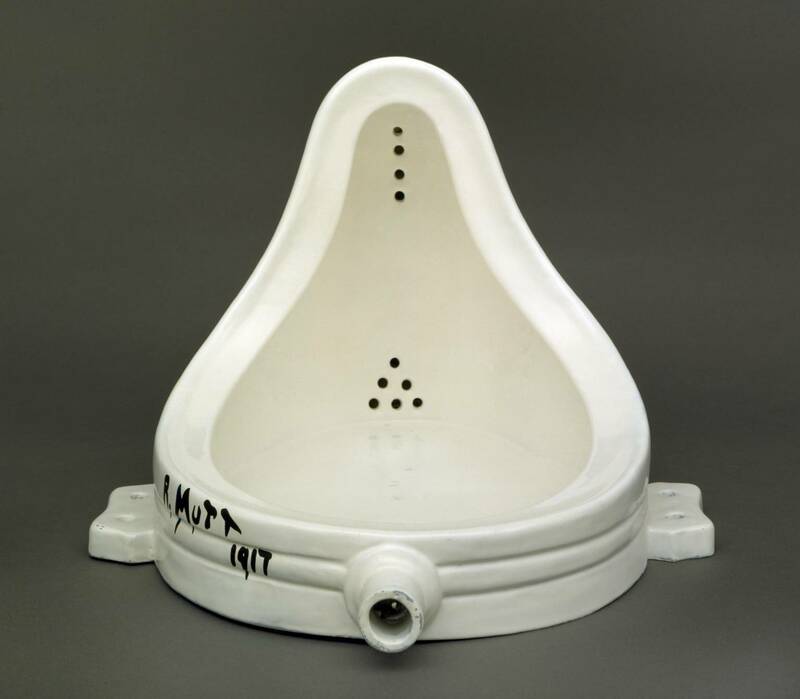 Gompertz takes us on a journey through modern art, starting with the impressionists, right up to the hugely popular modern street art movement made popular by Banksy amongst others. The book is split up into the main modern art movements like cubism and abstract art. From here, the author describes the intentions of each movement whilst introducing it’s major players and why they did what they did. The book takes the standpoint that a lot of people regard modern art to be lacking in skill, with quips like “I could of done that” echoing around modern art galleries. 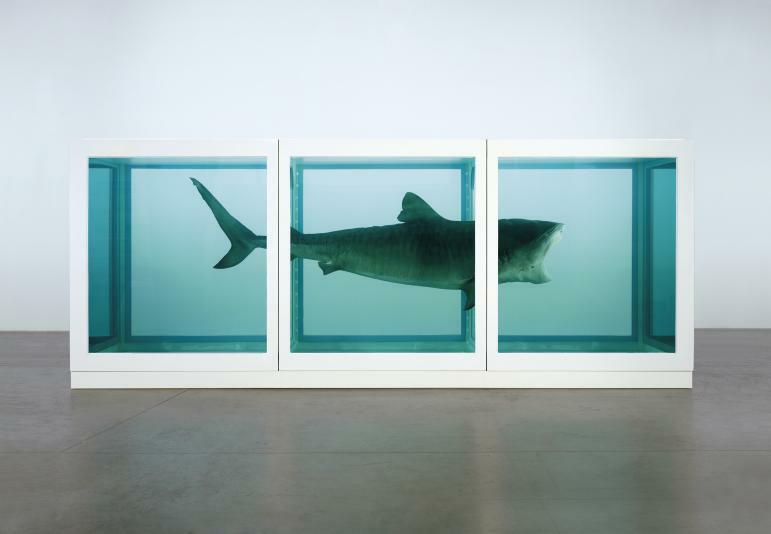 It is a standpoint that many gallery curators would encounter in their everyday lives. It’s a fact that many critics and a great deal of the public don’t particularly see much skill in works like Damian Hirsts ‘The Physical Impossibility of Death in the Mind of Someone Living, 1991’ ,Duschamps ‘Fountain’ or numerous comparable works. 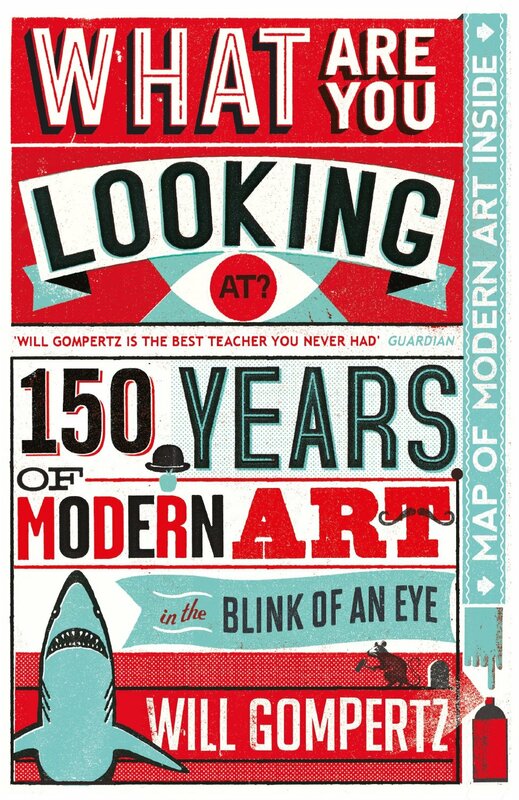 It is Gompertz who persistently tries to battle against this mindset in the book and he argues the validity of all modern art throughout. This mindset works to varying degrees. If you were of that mindset before reading the book it is great, as it makes you understand the validity of the art. But if you weren’t and you appreciated the art beforehand, then the passages of validation is just hot air. As a complete amateur to art, this book was exactly the entry point I was looking for. The vast majority of art ‘outsiders’ are intimidated when they try to discuss art in a meaningful way, myself included. But this book is written in such a conversational tone, that it is just engrossing. Gompertz strikes the perfect balance, he doesn’t patronise the reader and he doesn’t bombard them with artistic jargon. This was exactly the way I wanted modern art described to me. Art was of interest to me, but I never felt like I was able to truly understand it or discuss it in any way apart from superficial statements like, “it’s nice to look at”. This book has really helped open my eyes to art and I now feel semi confident when discussing the various movements of modern art. A problem I found was that the Kindle version had issues. One of these was that the pictures of the art were black and white and not in the best quality. When discussing work like that of Mondrian, you really need to see the pictures in colour. I therefore had to Google all of the images that Gomepertz talks about. This was time consuming and slightly annoying. But be prepared to do it if you purchase the Kindle version, as it is necessary. 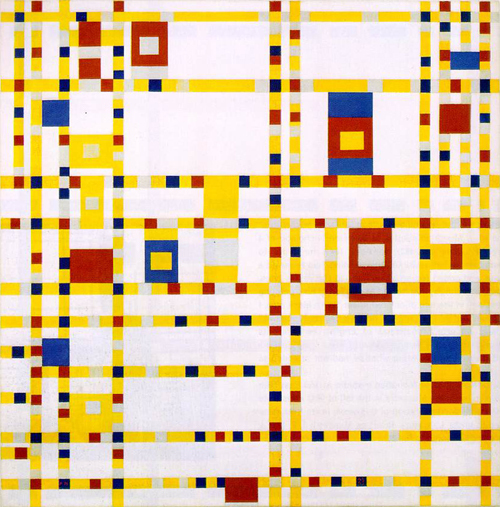 Broadway Boogie Woogie by Piet Mondrian is an example of artwork that needs to be seen in colour to appreciate. The book tries to describe modern art as a continuous narrative. I found this really interesting. When talking about a certain artist, Gompertz begins with a short biography, which helps to contextualise the work of the individual. I really enjoyed finding out about the artist and the ideas behind the works, as well as the art itself. I think this book is the perfect introduction to modern art. Because of this I would give this book a 9 out of 10, it was everything I wanted it to be on purchasing. It gave me the information I craved, told in an engaging and non patronising way. I really enjoyed this book and I would really recommend it to anyone who is interested in art, or those who feel they don’t fully understand modern art. This book has certainly peaked my interest in art and will probably be the first of many art books I purchase in the future.